Call ROSELAND FLORIST today... Delivering smiles from across the miles! Roseland Florist has been serving the Morristown, Tennessee area since 1955. Let us help you make that special day, extra special with fresh flowers, gift baskets and more! We hope you enjoy your online shopping experience, or if you prefer please call our shop direct at (423) 586-8412 to place an order. We offer daily deliveries to all local funeral homes and hospitals. Our shop is open to serve your floral and gift-giving needs: Monday through Friday 9:00 am to 5:00 pm and Saturday 9:00 am to 2:00 pm. Closed Sunday. Roseland Florist has the solution for all your gift giving needs... Choose from our lovely fresh arrangements, plants or spectacular gift line. Remember, you can depend on our courteous staff when you need to send an arrangement for the funeral of a friend or loved one. We will help you choose funeral flowers that beautifully convey your expressions of sympathy and serve as a lovely memorial to the deceased. 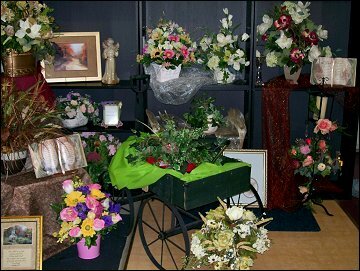 Our shop also offers delivery to cemeteries. Expect rave reviews at your wedding, holiday party or corporate event with bouquets, flower arrangements and on-site decorating by Roseland Florist! Once you have chosen a date, call us in advance to schedule a consultation with one of our talented floral design professionals. We customize gift baskets, snack & candy baskets, fruit baskets and gourmet baskets. 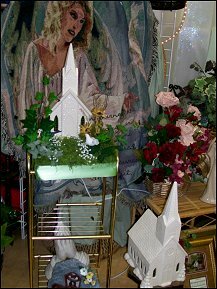 Our shop also carries a variety of green plants, blooming plants, dish gardens, home décor items, plush stuffed animals, balloons, silk & dried arrangements, swags, wreaths, greeting cards, pictures, angels and more. Thank you for visiting our website... with flowers delivered fresh from your local Morristown, TN flower shop and convenient 24/7 ordering available online.